How the Accelerator Centre is cutting the time and cost of collecting company data while increasing its data quality. 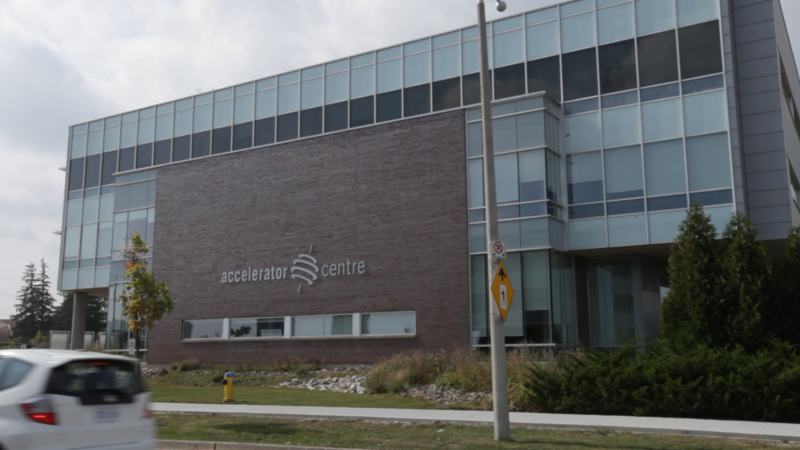 The Accelerator Centre (AC) is an award winning startup incubator dedicated to building and scaling sustainable, globally competitive technology firms. For ten years it has provided programming, mentorship and seed funding to help Waterloo Region technology companies grow. After our partnership with the Lazaridis Institute was announced, leaders at the AC decided to move forward with the platform to ease their data collection process. Listen to their Marketing and Community Manager talk about how that decision has impacted the centre. Established in 2006, the AC offers a full suite of programs and services to technology startups that are looking to effectively scale their businesses. They currently have a portfolio of 125 companies and have had 57 companies graduate from the program, including Canadian technology powerhouses Kik and Miovision. When it came time to improve how they collect company data, key decision-makers were looking for a solution that addressed the organization’s ongoing challenges with data collection. Tell me about the AC. What is your mission? Tabatha Laverty, Marketing and Community Manager: "The AC is a startup incubator and accelerator in Waterloo. We are dedicated to building and scaling sustainable technology companies and commercializing research coming out of the University of Waterloo and our other academic partners. We do this by offering an intensive, milestone-driven program and one-to-one mentorship to help companies gain traction, establish early growth, begin to scale and prepare for global expansion. Since 2006, the AC has supported over 250 early-stage technology companies, who have created over 2,100 new jobs and have generated more than two billion in valuations. 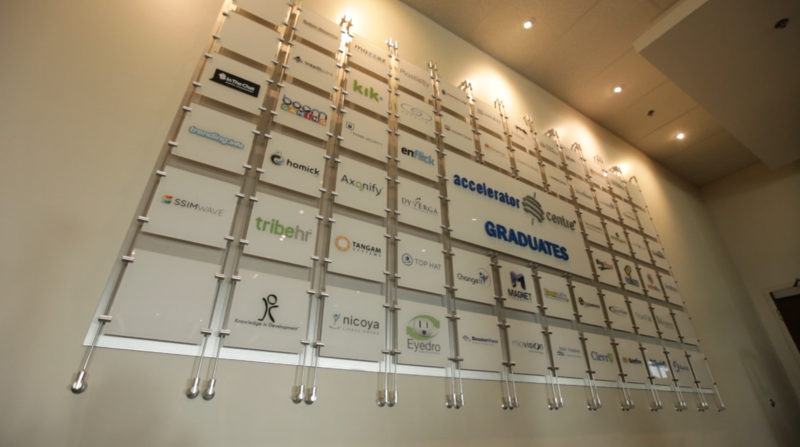 57 companies have graduated from the AC, with over 90% of those companies remaining active after two years." How did you collect and manage data for such a large portfolio? "In the past, our funding providers have been the driving force behind what data we were collecting and when, which meant that we were asking for a lot of information intermittently. One month we would ask for certain KPIs and the next we’d require something completely different. Then six months go by and we’re scrambling to aggregate all that data together and report back to our stakeholders. Our clients started to voice that they didn’t know what to expect from us and we wanted to fix that. Last year, we started consolidating everything but still found ourselves using a mishmash of tools and Excel files. Although we got great, reliable data, the process continued to be labour intensive and time-consuming, especially from a staffing perspective [25%-50% of a full-time AC role was dedicated to metrics collection and tracking]. To top it all off, it was still intrusive to our client companies." So it was these pain points that encouraged you to turn to us? "Putting aside the great initiative you have with the Lazaridis Institute [which provides free Hockeystick accounts to every Canadian accelerator and incubator], I think the biggest thing that attracted us to Hockeystick was that it’s very easy for our companies to use. They just have to log in and fill out what they need to fill out. We can adjust what we need from each client, depending on what programming they are using and customize the reports to highlight the KPIs we find most valuable. When the product was first demoed to our team, we recognized that we could incorporate other operational functions into our account as well, like our intake process, CRM management and funder exports." How else does the AC use the data it collects? "We look at the data as a valuable marketing tool, showcasing the success of our companies and demonstrating what our accelerator has to offer the community. As a non-profit organization, that’s especially important when trying to secure funding because, at the end of the day, our partners want hard numbers to support their investments. Storytelling and testimonials are great, but I don’t think they are a good way to tell how well you’re doing without hard data. I think the more people get onto platforms like Hockeystick, programs and services being offered to startups will improve and we can begin to open up some important conversations surrounding what metrics are important for accelerators to track and establish best practices for that data collection." Have those conversations already started? "They have. We’ve been speaking with some other local partners who are also in the onboarding phase with their Hockeystick accounts and we’ve had some great conversations about metrics, what we’re tracking and overall best practices. The more we can amplify those type of conversations across Canada, the more consistent we’ll be able to be and that has big benefits for everyone working in this space." 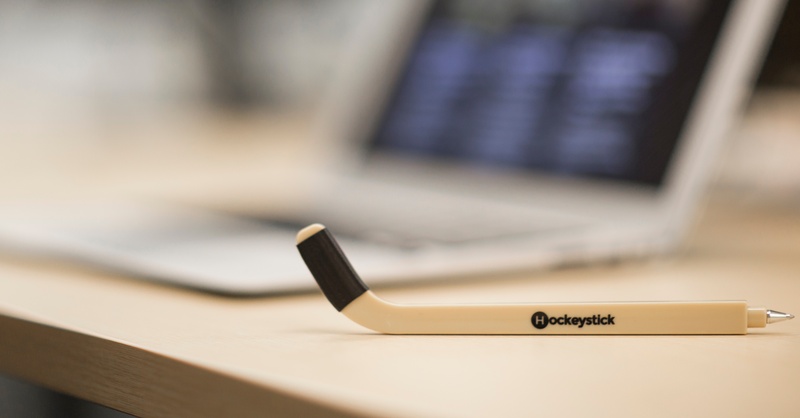 Would you recommend Hockeystick to fellow accelerators and incubators? "Yes, absolutely. Data-based decision making should be an fundamental part of every organization's operational strategy. Data is only as good as the methods that are used to collect it. 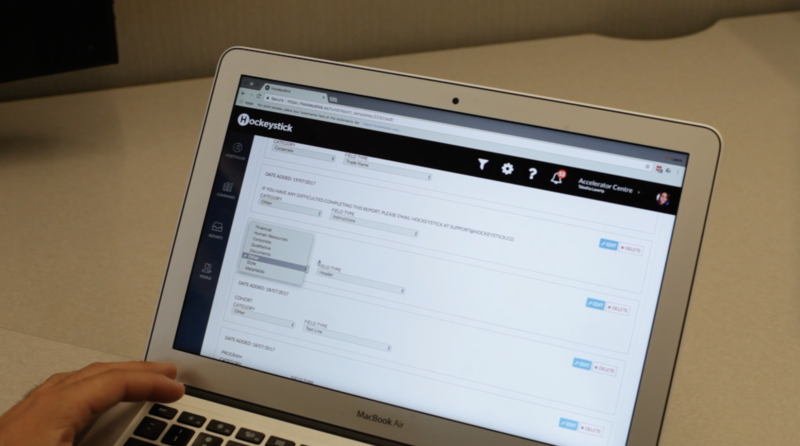 Sound, consistent company reporting is the starting point and Hockeystick gives us that and more. I also want to add that the Hockeystick team is fantastic. If there are questions, concerns, if our companies are having trouble, your team is right there to help. It’s taken remarkably little of my time to onboard Hockeystick and I’m spending less time implementing the system than I would have collecting the metrics myself. To see that happening so quickly is good news, and I only expect that efficiency to continue." What would happen if you didn’t have Hockeystick anymore? "We would continue with the traditional methods, and do our best to make our data as consistent as possible. But that would lead back to the problems I mentioned earlier. Having Hockeystick has allowed us to focus our staff efforts on other areas, knowing that our data collection is in good hands." Everyone knows the Toronto-Waterloo Corridor and Silicon Valley, but beyond the bright lights of the big cities are smaller tech hubs that are helping local economies shift away from traditional sectors and embrace the new innovation economy. Scaling a company is a complex endeavour that can derail even successful entrepreneurs. We sat down with OneEleven’s Community Manager to discuss how accelerators can help founders scale their companies.